Over the weekend at the Star Trek Las Vegas convention it has been announced that Patrick Stewart is return to play Captain Jean-Luc Picard in a new Star Trek TV project. There's exciting news on who's involved behind the camera too, continue below for more details on that. He may not, and I stress may not, be a captain anymore. He may not be the Jean-Luc that you recognize and know so well. It may be a very different individual. Someone who has been changed by his experiences. Twenty years will have past, which is more or less exactly the time between the very last movie, Nemesis, and today. We have no scripts as yet, we're just talking talking talking storylines. It will be, I promise you, I guarantee it, something very, very different. It will come to you with the same passion, and determination and love of the material and love of our followers and our fans, exactly as we had it before. During these past years, it has been humbling to hear stories about how The Next Generation brought people comfort, saw them through difficult periods in their lives or how the example of Jean-Luc inspired so many to follow in his footsteps, pursuing science, exploration and leadership. I feel I'm ready to return to him for the same reason – to research and experience what comforting and reforming light he might shine on these often very dark times. I look forward to working with our brilliant creative team as we endeavor to bring a fresh, unexpected and pertinent story to life once more. Deadline have revealed information on the creative team for the new series, which will include Alex Kurtzman who is of course in charge of all things TV Trek these days, along with James Duff who recently joined Discovery as executive producer, Akiva Goldsman who was a producer, writer, and director on Discovery's first season, novelist Michael Chabon who was recently announced to write one of the Short Treks episodes as well, and Star Trek novelist, Discovery writer and tie-ins coordinator, Kirsten Beyer. Stewart, Chabon, and Goldsman are all to executive produce, along with Heather Kadin of Secret Hideout, and Rod Roddenberry and Trevor Roth of Roddenberry Entertainment. 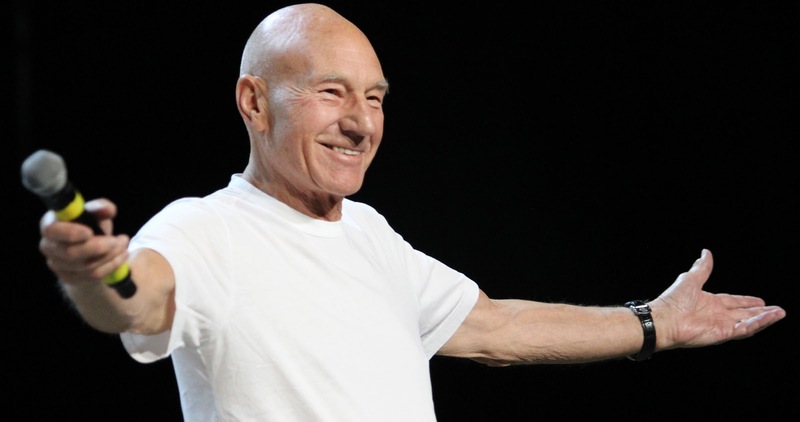 This #Picard news is very exciting. It's the brain child of our dear friend and lifelong Trek "keeper of the flame" #KirstenBeyer. This couldn't have happened to a better or more talented artist and human being! Exciting times for #StarTrek! What I can honestly say is that I was aware this was in the works even before I began developing my outline for the TNG book I'm currently writing, and that carrying on the TNG storyline as we've been laying it out all this time was my specific mandate, both from my editor and CBS Licensing. I point-blank asked about any particular concerns or issues which might impact what I was planning should this come to pass, and was told to carry on with what I was doing. Personally, I'm not too worried about the TrekLit status quo, at least as things currently stand, but that's me, speaking only for myself but based on the conversations I've had about this. Star Trek novels have always had to bend to the whims on what is seen on-screen, and with a big time jump coming here it could be possible to avoid any massive contradictions, or find ways to wiggle out of them, as has been done many times before - Of course that will depend hugely on just what story they want to tell in this new series and how events from the preceding twenty years will shape the new present day. There's a particular aesthetic choice that was made by I believe Mr. Westmore. But for me, I think the coolest challenge, because I like to do this with any design that I do, is to make sense of those choices. It's kind of reverse engineering why there's tubes and stuff going in and out of things. So it'd be to try and make sense of that and then contemporize that aesthetic with what audiences demand today and expect. I also think that there's, again, it's me, so there's got to be a little room for a little steampunk in there. A little antediluvian something. So not too retro, and not a gear, but there is a biomech feel to the the whole thing, so to go to Geiger and steampunk and find a new way to combine it and maybe play with the colours and bring the palette out of the greys and the blacks and find some rusty and cool metallic tones, then also start defining the flesh in a different way. Like if some of those limbs are necrotic, is the tube pumping life back into them? Do they change color depending on how long they've been in the collective? How does the body stay alive? There are so many things to play with. It's sort of just taking what's there and playing with it. Michael Westmore Jr. did all the lasers and lights inside of all the little LED components. That's something today with 3D printing we can push infinitely further. We can do a lot more lighting and more moving parts. Whatever the future holds, the return of Captain Picard is certainly very exciting! I really wish I could be more excited for this than I am. But, really, Kurzman's continued involvement just saps my enthusiasm. I'm very worried about what he'll do to the setting and characters (probably treat them both as lazily and apathetically as in DSC). I'm hopeful that, if nothing else, Picard's character will be handled well, since Stewart is a producer, and will certainly be well-acted. Everything else, though, I'm super anxious about. I agree. I am very excited about a Captain Picard return and all the possible guest stars. I am worried about what they will do it. I don't watch Discovery. I was upset when they disregarded the colors of the uniforms but when I saw what they did to the Klingons I was out. I better see Worf in this new series and he better look like him.